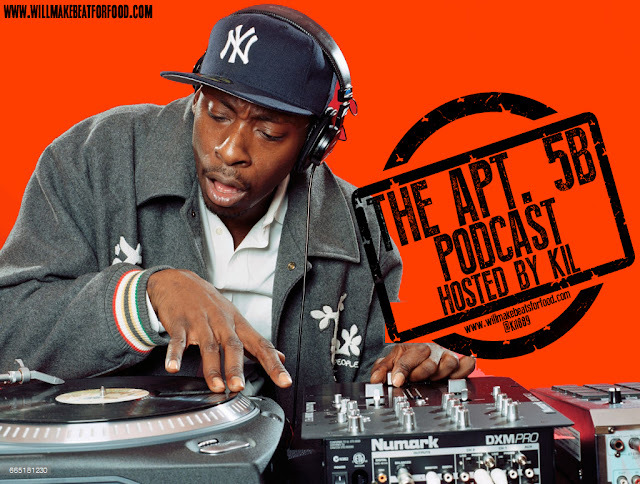 Check out this week's ep of my podcast Apt. 5B where I'm chopping it up with Tasha, Vern, Tone, DJ Iran, Vegas & the younger soul brother Grap Luva about the dopeness of the number one soul brother Pete Rock! We're chopping it up about our top 5 Pete produced bangers (not including TROY...cause we all were gonna say that), his top 5 produced remixes (not including PE's Shut 'em Down remix...cause we all were gonna say that), slept on Pete treats, where does Pete rank in our top 10 list of the doper producers EVER and we vote on one of the oldest hip hop debates, what's doper...Main Ingredient or Mecca & the Soul Brother? Plus we're also breaking down the technical aspects of what Pete brought to the production game like being the first to filter basslines, the first to using the multo potch on the SP to echo horns and Grap tries to explain how the hell Pete stretched 10 seconds outta the SP to make bangers like Nas' "The World Is Yours" and "TROY!" As always, this is just ANOTHER dope ep ya'll and don't forget to subscribe to our You Tube and Mixcloud channels!